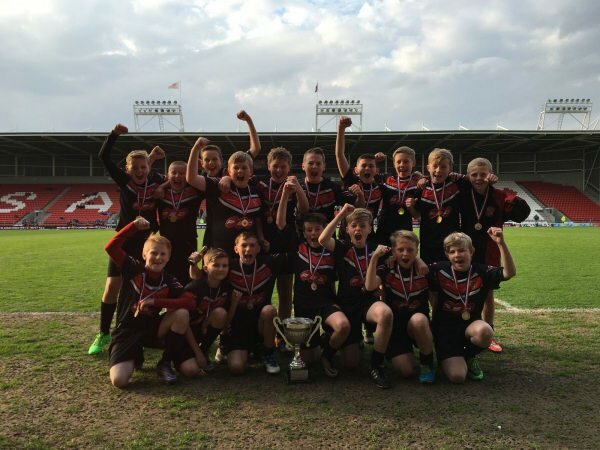 Congratulations to our Year 7 boys rugby team who have been crowned St. Helens Champions by beating De La Salle 14 – 4 in the final at Langtree Park. The game was the curtain raiser to the St. Helens v Salford Reds super league game and the game did not disappoint in a close, physical, entertaining encounter. Tries from Dylan Nixon, Matthew Crehan and Will Jones and a goal added by Adam Smith secured the win for Rainford. Congratulations to Mr. Makin & Mr. Skerry and all the year 7 boys who have been involved.